View cart “Dragon’s Blood Oil, Azure Green” has been added to your cart. 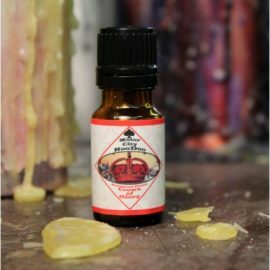 You will enjoy this Fiery Wall of Protection Oil, Motor City HooDoo will raise the roof with Ginger and Sandalwood. Those who play with your fire will get burned. Add to your floor wash. Put some in your shoes. Put in a diffuser. 10 ml Dropper bottle. 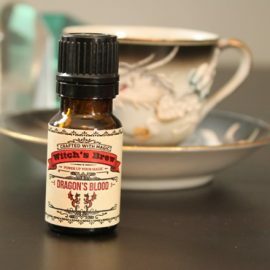 Dragon’s Blood Oil, Witch’s Brew is crisp like a gentleman’s aftershave, with Dragon’s Blood Resin. Power up your magic with the dragons and make your words and actions go further. 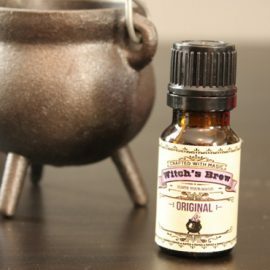 Get your “Witch” on with the Witch’s Brew oils and honor your Inner-Witch! Thank goodness times are changing and our sisters can declare their witchiness without deadly persecution. Even though they are packaged with a whimsical air, the Witch’s Brew products are very serious in their power. 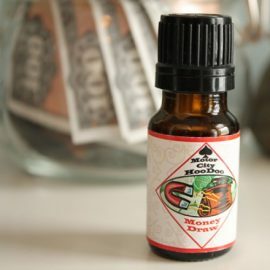 You will enjoy this Money Draw Oil, Motor City HooDoo with Earthy Patchouli and Nutmeg. When robbing the bank isn’t an option, magic is…. 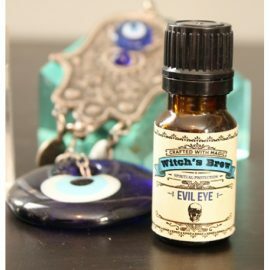 You will enjoy this Evil Eye Oil, Witch’s Brew a sharp stick in your eye Juniper. 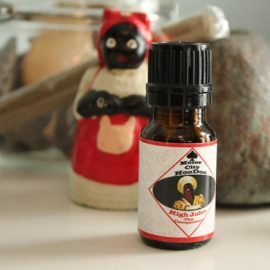 Don’t leave your spirit vulnurable, use this oil to put that sucka on lock down. 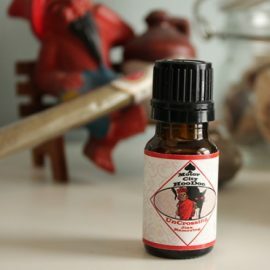 You will enjoy this Witch’s Brew Oil has moody Myrrh and Mugwort. Our most popular oil for a reason. Never underestimate the power of a witch on a mission. Get your “Witch” on with the Witch’s Brew oils and honor your Inner-Witch! Thank goodness times are changing and our sisters can declare their witchiness without deadly persecution. 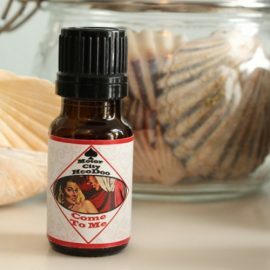 The recipes come from our personal spell casting experiences blended with sumptuous scents to create products that are chock full of witchy goodness. The gorgeous scent of the Witch’s Brew has to be experienced at least once in your life. 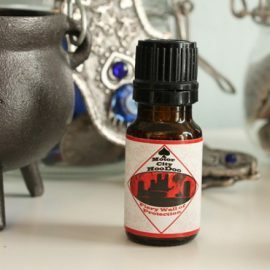 You will enjoy this Uncrossing Oil, Motor City HooDoo has Juniper and Peppermint and it is Hot! Hot! Hot! Take the Jinx out of your problems and stops the sabotage. Uncross your chaos and win the prize. Some general uses for this product: Use in your laundry. 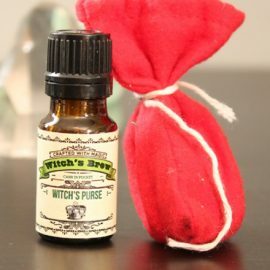 You will enjoy this Witch’s Purse Oil, Witch’s Brew is everything good under the Sun with Jasmine, Date, and Amber musk. A Witch’s Purse is never empty because she knows the secret of the laws of attraction. 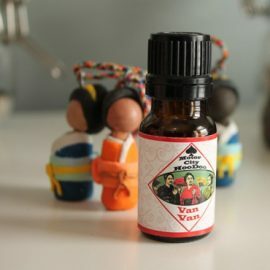 You will enjoy this Van Van Oil, Motor City HooDoo. Turn your bad luck to good, negative to positive and watch the sun make rainbows in your world. To anoint objects. Put in a 10 ml Dropper bottle. 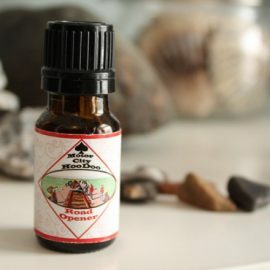 You will enjoy this Crown of Glory Oil, Motor City HooDoo which is a luminescent oil with an earthy scent. The Crown of Glory brings good fortune and success your way. Great for life tests like interviews, proposals, final exams or even getting someone to call you back! Put a little on your resume before sending it into your dream job or dab a bit on your wrists before a presentation. You will enjoy this Dragon’s Blood Oil, Azure Green makes a fantastic supplement to spells and rituals. It is a reddish brown from the resin, and offers an exceptional boost to your intent. It makes a formidable addition to spells & rituals of protection, Anoint ritual tools, candles, or any item or person. 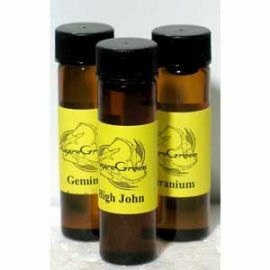 You will enjoy this High John Oil, Motor City HooDoo is stately with Frankincense and Myrrh. You will enjoy this Road Opener Oil, Motor City HooDoo. Take no prisoners with this Juniper and Myrrh blend. Let the plow go before you and clear the path to success. Helps remove anything that is blocking you.